Emanem pubblica per il compianto Paul Rutherford un doppio album di materiali completamente inediti: si intitola Tetralogy, e contiene registrazioni dal vivo e in studio effettuate in solo, in trio e in quartetto tra il 1978 e il 1982. 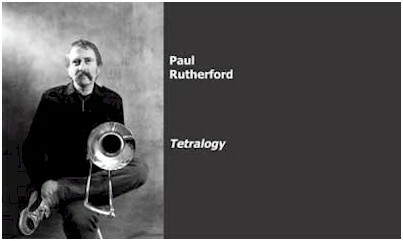 Scrive il produttore Martin Davidson: "Paul Rutherford (1940-2007) was surely the most original and inventive (and enjoyable) trombonist of the last 40 years, and also one of the greatest exponents of free improvisation. It is therefore appropriate and desirable that recordings of his excellent music, like the four in this collection, are made available to the public. 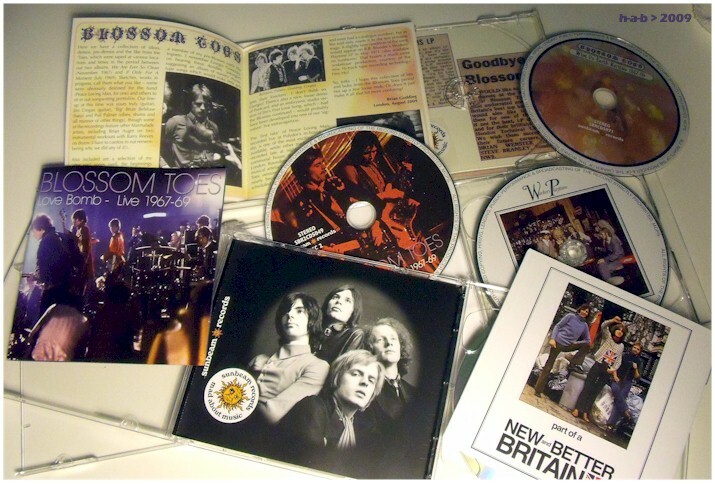 The two sets on the first cd were recorded at the Actual-81 festival in London organised by Anthony Wood. The solo set is unusual in that a considerable amount of electronics were used to enhance the trombone or euphonium. The additions include a voice-mike (with added tremolo), a bespoke box made by Ian Mackintosh, and probably standard items such as ring modulators and octave dividers. Three days later, Rutherford convened an improvising brass quartet with fellow trombonist George Lewis, Martin Mayes (French horn) and Melvyn Poore (tuba). 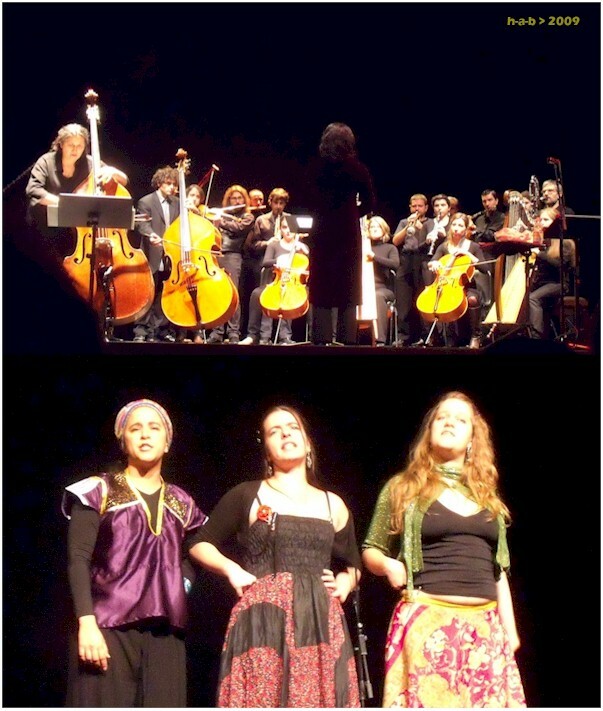 They performed two pieces. My original plan was to issue these two items on a single cd; but it occurred to me that any listener not otherwise familiar with Rutherford’s work would get a strange introduction, as these two are very different to anything else of his on record. So I thought that a second cd of his more typical work from the same period would be appropriate. Riccardo Bergerone recently came up with the Pisa Jazz Festival solo tape, which presents Rutherford without any electronics. Even with just his trombone or euphonium (augmented by his voice) he comes up with a remarkable range of sounds, and unique lines involving wild leaps. The performance of two pieces is almost complete. The final section is something by the working trio that Rutherford set up to contrast with his other trio (Iskra 1903). It features brilliant work by two (then) young musicians as well as the leader: Paul Rogers and Nigel Morris." Tatsuya Yoshida pubblica per la propria etichetta Magaibutsu tre corposi documenti audio e video - composti ciascuno di un cd e di un dvd - riguardanti altrettante formazioni di cui fa parte: Invitation to World Heritage, del sestetto di improvvisazione (ma i membri son tutti anche gran 'rockettari') The World Heritage, con Yamamoto Seiichi, Omoide Hatoba, Katsui Yuji, Kido Natsuki e Nasuno Mitsuru; Swan Dive, del 'power trio' Korekyojinn, con ospiti Hoppy Kamiyama e Kazuhisa Uchihashi; e, in duo con quest'ultimo, un terzo capitolo di Improvisations. Alcuni filmati tratti dall'edizione appena conclusa di All Frontiers a Gradisca d'Isonzo (GO) sono in www.youtube.com/user/frittho: al brioso set vocale delle messicane Muna Zul, qui al debutto italiano, il merito di aver suggellato con sorriso e leggerezza una rassegna segnata da non poche velleità accademiche. 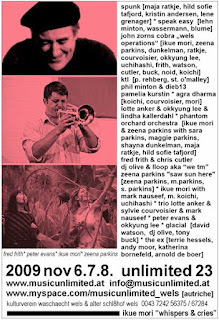 Tra i concerti migliori quelli di Nous percons les oreilles (Jean Derome e Joane Hétu) e di K-Space, Keith Tippett in solo (apparso però meno ispirato del solito) e il duo Tim Hodgkinson/Fred Frith, esemplare per intensità e concentrazione. Un commento di Gilad Atzmon presso il blog Robert Wyatt and Stuff chiarisce i termini della sua attuale collaborazione con Wyatt a un futuro album insieme: "The album is a product of collaboration between Ros Stephen who takes care of the string parts and some compositions, Robert who sings and inspires and myself who take care of woodwind and musical production. A lot of other people are involved. I just mentioned it because it is kind of a collaboration rather than G produces Y." Atzmon sarà (in buona compagnia!) 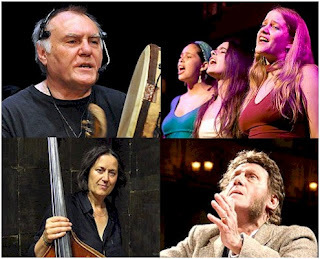 nell'ensemble che l'anno prossimo farà nuovo omaggio alle canzoni e alle musiche di Wyatt: oltre alla formazione - Dagmar Krause, Richard Sinclair, Atzmon appunto, Annie Whitehead, Alex Maguire, Michel Delville, John Edwards, Chris Cutler e Cristiano Calcagnile - è ora nota la data del debutto: il primo marzo 2010 a Modena, al Teatro Comunale. 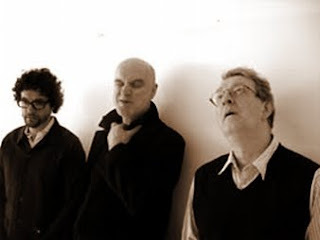 A Lol Coxhill dedicherà presto una serata Radiotre Suite Jazz, trasmettendo il concerto tenuto a Roma a metà ottobre con Mike Cooper, Bellatalla, Spera e Venitucci. Phil Howitt - storica guida della fanzine canterburyana Facelift nel decennio 1989-1999 - racconta in What's Rattlin'? il concerto di Gong (e Steve Hillage Band) domenica scorsa a Edimburgo: c'erano Daevid Allen, Gilli Smyth, Steve Hillage, Miquette Giraudy, Theo Travis, Mike Howlett e Chris Taylor. Fino a qualche giorno prima - per esempio ad Aschaffenburg, da dove giungono due video ora su YouTube - la formazione era quella vista anche in Italia ad ottobre (con Dave Sturt e Ian East al posto di Howlett e Travis). Un'intervista ad Allen dei giorni scorsi, ricca di aneddoti e varie curiosità, è di Aidan Smith per The Scotsman. Umberto Fiori e Franco Fabbri intervengono in diretta alla puntata di Intersezioni su Radio Città Fujiko domani sera, a partire dalle ore 20.00. Parleranno tra le altre cose dei rispettivi album Sotto gli occhi di tutti (di Fiori e Margorani) e Luci (del solo Fabbri, ora su iTunes). 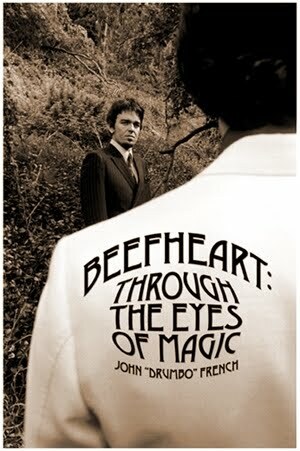 The ultimate book about Captain Beefheart written by the man who spent more time with him than most. Few names carry such formidable mystique and rabid cult status as Captain Beefheart, who led various lineups of his Magic Band to make some of the most startling, ground-breaking albums of the last century. In 1982, he retired to concentrate on painting, leaving the mythology he’d stoked himself to grow untamed over the years. 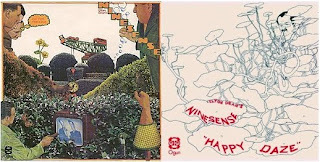 assault of 1969’s *Trout Mask Replica *into readable music for the Magic Band from the Captain’s piano poundings under torturous conditions he likens to a cult. Spanning nearly a thousand pages, French’s remarkable memoir starts with a vivid description of the rarely-documented early 60s Lancaster garage-rock scene which also spawned names like Ry Cooder and Beefheart’s childhood friend and later nemesis Frank Zappa, whose appearances in the book will enthrall his own legion of fans. 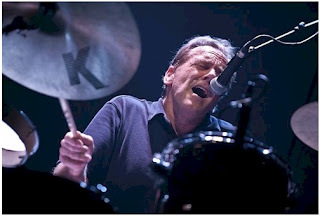 As his spellbinding, often shocking tale unwinds, he encounters names including jazz giant Ornette Coleman, Jim Morrison and Paul McCartney, writing with dry, sometimes surreal humour and disarming honesty about his old boss and even himself, occasionally bringing in his old Magic Band comrades to jog his memory. 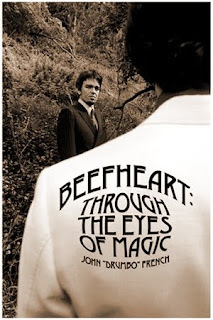 The book is packed with new revelations, many previously-unseen photos and enough anecdotes to keep the Beefheart faithful ruminating for years, French finally crystallising and bringing to life over 40 years of legend and speculation in what has to be the ultimate book on the mercurial genius of Captain Beefheart. Numerose le gallerie fotografiche tratte dal festival Unlimited 23 tenutosi a Wels, Austria qualche giorno fa: quelle ufficiali di Peter Gannushkin, che al festival esponeva una propria galleria di ritratti dal titolo (e)motion pictures, sono in www.musicunlimited.at e http://downtownmusic.net. 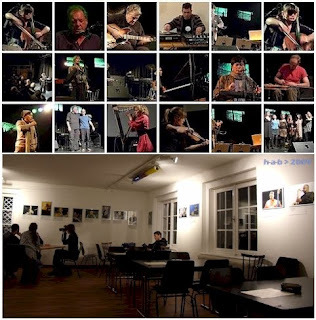 Questa splendida edizione del festival, curata assieme agli organizzatori dell'Alter Schl8hof da Ikue Mori, ha avuto tra i suoi momenti più alti i concerti di Speak Easy (Phil Minton, Thomas Lehn, Ute Wassermann, Martin Blume), Agra Dharma (Koichi Makigami, Sylvie Courvoisier, Ikue Mori), il duo di Peter Evans & Okkyung Lee e quello di Fred Frith & Chris Cutler, l'ottima prova della Phantom Orchard Orchestra, resa ancor più preziosa da un'apparizione a sorpresa di Koichi Makigami, e - guidato ancora dall'estroso cantante giapponese - il celebre game-piece zorniano Cobra. Barbaro (ma non troppo) è l'eccellente nuovo album del gruppo Present guidato da Roger Trigaux: si compone di un cd di studio con tre brani (uno è una rilettura del celebre Jack the Ripper, già in Heresie per Univers Zero) e di un dvd di quasi tre ore con riprese video dai festival RIO France Event e Gouveia Art Rock rispettivamente del 2007 e 2006, oltre a diversi altri materiali d'archivio. Su Ad Hoc Records. Roger Trigaux's post-Univers Zero band, Present, returns with a vengeance on this release: a new studio album CD, plus a three-hour DVD. These are compositions that spread out and expand upon the style of the band's latest works, Number 6 and High Infidelity, and include the Trigaux duo's latest epic, Vertges, as well as Present's slick version of Jack The Ripper, and Pierre Chevalier's fiery, A Last Drop. 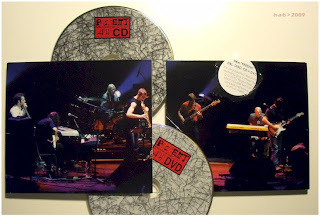 The DVD is comprised of live footage from the band's two RIO France performances in 2007, and roughly half of the Gouveia Art Rock Festival performance from 2005. As an added bonus, there is archival footage, some of which dates back to the early days of the band, featuring Daniel Denis and Christian Genet. All of this has been exquisitely recorded and mixed by Udi Koomran, with post-video work by Asaf Carmeli, both of whom were out to re-define the parameters of modern-day Rock In Opposition products. The disks come in a spiffy, 8-panel digipack. 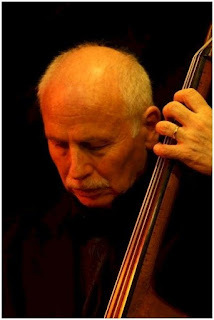 Si tiene a Gradisca d'Isonzo (GO) dal 20 al 22 novembre prossimi l'edizione 2009 di All Frontiers: intervengono tra gli altri Joane Hétu & Jean Derome, Keith Tippett, Han Bennink con Terrie Ex, Anthony Coleman, K-Space, Tim Hodgkinson in duo con Fred Frith, Joëlle Léandre con un composito omaggio a John Cage (in solo; con un ensemble di venti musicisti; con Dominique Boivin, danza; con Frith, Alvin Curran, Urs Leimgruber) e Muna Zul. La puntata di domani sera del programma di Steve Davis The Interesting Alternative Show, su Phoenix FM, avrà ospite in studio Charles Hayward. Inizio alle 23.00, ora italiana. Gentle Giant is regarded by many as one of the world's most underrated rock bands. Formed from the ashes of the erstwhile pop group Simon Dupree and the Big Sound, from 1970 to 1980 Gentle Giant released a string of musically and lyrically adventurous albums that challenged the preconceptions of the rock genre while earning the band a rabidly loyal following. Though the band never achieved the same degree of commercial success as its progressive rock contemporaries like ELP, Yes, Genesis or Jethro Tull, Gentle Giant retains a fanatical cult-like audience almost forty years after the release of its first album. On November 3rd Gentle Giant released 'In A Glass House', 'The Power and the Glory', 'Free Hand', 'Interview', 'Playing The Fool', 'The Missing Piece', and 'Giant For A Day' through all digital channels. The albums are re-mastered and each one features several bonus tracks from either live concerts or live radio sessions. The band promises there will be more catalog releases to come in 2010. 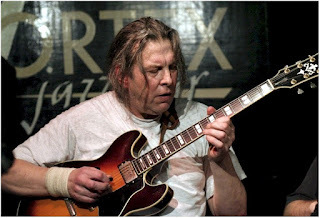 Guitarist Gary Green played on all of Gentle Giant's albums and tours. When the band broke up in 1980 Green relocated to America, where he played on Eddie Jobson's 'Green' album. He spent the next several decades in a succession of bands, at one point even leaving the music business entirely. 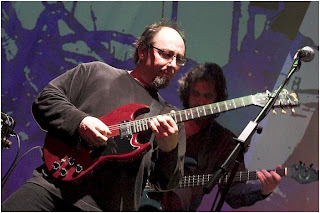 In more recent years Green has resurfaced working with Billy Sherwood, most notably on 'Back Against The Wall' in 2005, and 2006's 'Return To The Dark Side Of The Moon'. 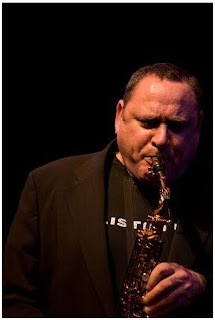 In 2009 Gary Green began playing in a new group called Three Friends, so titled after the Gentle Giant album of the same name. 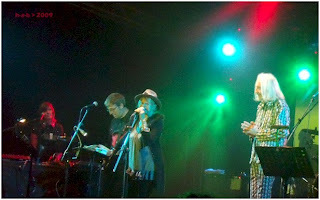 The group consisted of former Gentle Giant members Green, Kerry Minnear and Malcolm Mortimore, augmented by additional members and performing the music of Gentle Giant. Gary Green joins us tonight to talk about the remastered Gentle Giant digital releases, his career with the band, Three Friends, and to take some listener calls! Calling Out Of Context is a festival of experimental musicand sound that fills the ICA for nine days in November. One of the ICA’s Galleries is being used as a performance space, while the other features a recording studio, and the Theatre is hosting gigs, workshops and discussions. The programme across these spaces includes an incredible range of musicians and artists, revealing the vitality and relevance of the sonic avant-garde. 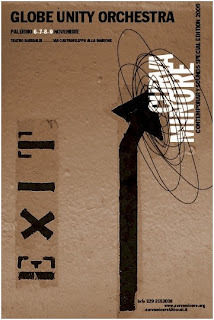 Calling Out Of Context features over forty performers and groups, including both emerging figures and well-known names. Many of the participants cross the boundaries between different musical traditions, and the festival (which takes its title from a song by the American underground musician Arthur Russell) draws on the explosively experimental ethos of the 60s and 70s. 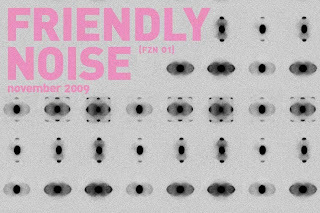 The programme includes performances by The Red Krayola, Gravetemple, Aaron Dilloway, Seb Rochford, Mira Calix, Rhys Chatham, 9!, James Beckett, AGF and Lucky Dragons, as well as new sound works by Jan St Werner and Robin Watkins, and recording sessions from About, Mica Levi, Alexander Tucker and Woebot. It concludes with a weekend of events dedicated to the British avant-garde musician and activist Cornelius Cardew, featuring contributions from John Tilbury and Ultra-red, amongst others. Giunge al quarto titolo la serie zorniana Arcana volta ad offrire direttamente a compositori e musicisti spazio di confronto e riflessione attorno a teorie e pratiche delle musiche nel ventunesimo secolo. Mentre un quinto volume è già in preparazione, qui ci sono scritti di Derek Bailey, Chris Cutler, Arnold Dreyblatt, Shelley Hirsch, Robin Holcomb, Gordon Mumma, Kathleen Supové, Davey Williams, Peter Evans, Vijay Iyer, Bob Ludwig e molti altri. Now in its fourth installment, with a fifth in preparation, John Zorn's acclaimed Arcana series has become a major source on new music theory and practice in the 21st century. Rather than an attempt to distill or define a musician's work, Arcana illuminates via personal vision and experience through the undiluted words and thoughts of the practitioners themselves. Elucidating through manifestoes, scores, interviews, notes and critical papers, composer/performers address composing, improvising, teaching, living, touring and thinking in and through music. Essential for composers, musicians, students and fans alike, this challenging and original series provides insight into the work and methodologies of some of the most remarkable creative minds of our time. Wyatt canta Rimbaud in un lavoro di circa mezzora che la compositrice Elizabeth Purnell ha tratto dalle pagine immortali di Una stagione all'inferno. Si ascolta sabato 14 novembre, all'interno del programma 'Between The Ears' di BBC Radio 3, a partire dalle 22.45 ora italiana. Composer Elizabeth Purnell has created a soundscape for Arthur Rimbaud's work A Season In Hell, which was written between April and August 1873 in London and France, when Rimbaud was 18 and in the throes of an intense, transgressive and destructive relationship with Verlaine. 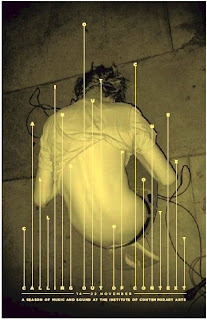 Purnell's setting includes composed music, field recordings and processed sound in a raw response to the words. 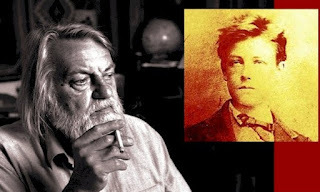 She set the poems specifically for Robert Wyatt, whose voice, in its high, delicate register, suggests a beyond-the-grave alter-ego to the young Rimbaud. A mixture of autobiography and enigmatic dream sequence, A Season In Hell sees Rimbaud look back in despair over his life as a poet, combining lucid self-appraisal and hyper-realism with demented vision and hallucinatory surrealism. The 25 pages of A Season In Hell – cut here to a third of its length – are both a staggering testimony to and a tortured recantation of Rimbaud's poetic credo, the "disordering of all the senses". 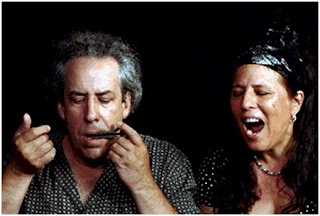 Jean Derome e Joane Hétu, due colonne della scena musicale di Montréal e delle attività discografiche e concertistiche di Ambiances Magnetiques/Dame, sono attualmente in Europa per alcuni concerti in duo, e presto saranno anche in Italia (Roma, Lodi, Bologna, Gradisca d'Isonzo). Per l'appuntamento di Roma, venerdì 13 novembre alle Officine Pigneto (Via del Pigneto 215), avranno come ospiti Luca Venitucci e Fabrizio Spera. A Radiotre Suite Jazz va in onda martedì prossimo, 10 novembre, il concerto del Wardrobe Trio registrato a Venezia per 'Risonanze' lo scorso aprile: Steve Beresford, pianoforte; Joe Williamson, contrabbasso; Roger Turner, batteria. Ad esso fa seguito il quartetto Vigroux/Sharp/Chevillon/Baron, sempre da Venezia, registrato il 13.11.2008: Franck Vigroux, chitarra; Elliott Sharp, chitarra; Bruno Chevillon, contrabbasso; Joey Baron, batteria. The original In Cahoots line up came out of the Canterbury Scene in 1982 and many heavyweight names, including the late Elton Dean, have passed through the ranks of the group over the years. 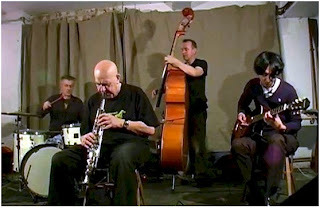 The present sextet comprises Phil Miller (guitar), Paul Booth (saxophone), Mark Armstrong (trumpet), Fred Baker (bass) , Pete Lemer (keyboards) and Mark Fletcher (drums). '...dazzling and engaging. While steeped in Canterbury roots, this music is very straight-ahead jazz, merging old school traditions with modern delivery. The result is mesmerizing and rewarding, with wide appeal' (Sonic Curiosity). L'etichetta italiana Rossbin documenta in un cd una seduta di improvvisazione di Tim Hodgkinson e Milo Fine dello scorso anno a Minneapolis. 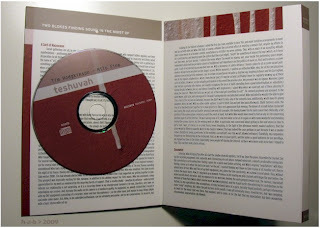 L'album si intitola Teshuvah e lo stesso Fine ne svela i retroscena in www.rossbin.com/rs028.htm. Il Goethe-Institut Palermo e Curva Minore organizzano dal 6 al 9 novembre prossimi un festival con la Globe Unity Orchestra: concerti diurni e serali in varia formazione, incontri e collaborazioni con musicisti locali e di tutta Italia, un seminario di due giorni condotto da Alex von Schlippenbach e gran finale dedicato all'anniversario della caduta del muro di Berlino. Al Museo internazionale delle marionette Antonio Pasqualino, a Palermo. Informazioni: 329 3152030. Giunge alla sua ventitreesima edizione il festival Unlimited, a Wels (Austria) questo fine settimana dal 6 all'8 novembre: a curare il prgramma, intitolato 'Whispers & Cries', è Ikue Mori. Daevid Allen, Steve Hillage et Didier Malherbe, membres du groupe Gong, sont les invitée de Fip, le lundi 2 novembre à partir de 21h, pour leur carte blanche.